If you have been around old Mercedes for any length of time, you have probably run into a problem with your ignition key starting to "stick" or one that would not turn. This problem can leave you stranded and could cost hundreds of dollars to fix $$$. Kent feels that most of the problems are caused by total lack of lubrication! Have you ever heard of anyone just pulling out the tumbler to clean and lubricate it with the PROPER lubricant??? 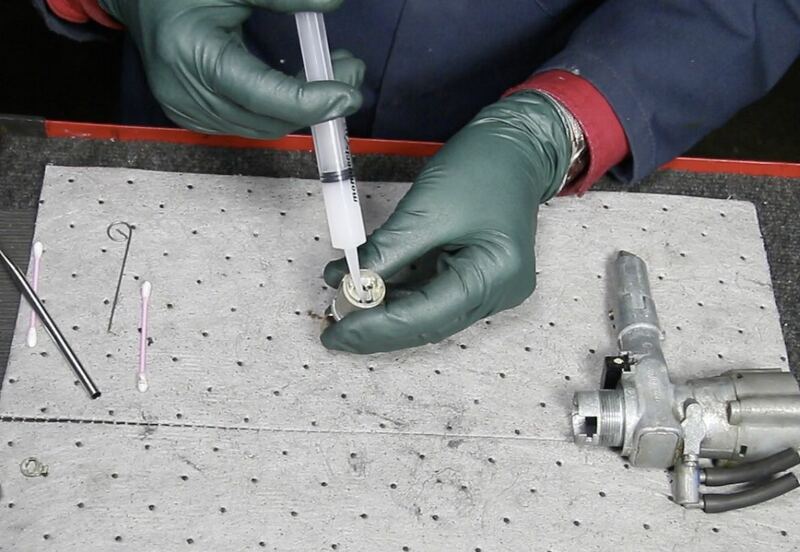 Simple lubrication can add years of life to your tumbler and ignition lock assembly, keep you from getting stranded, and save you lots of money and headaches. Kent finally decided to produce a "tool kit" that would allow the owner to service and / or replace his own tumbler. The kit you see here is designed by Kent and made right in his own shop. 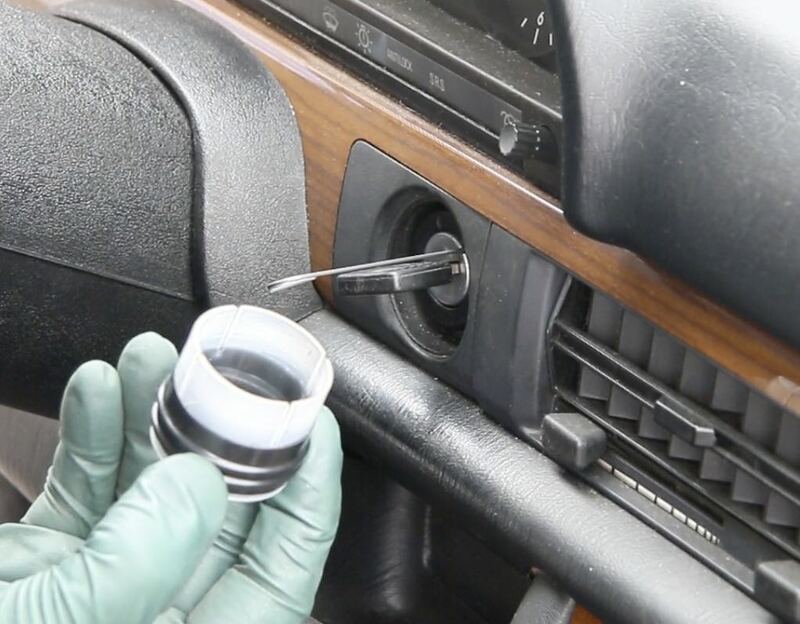 Everthing is here to help you remove the key tumbler with the heavy black metal "SCREW TYPE CAP" that holds the tumbler inside the steering lock housing.